¡Oye chicos! Many will agree with me that for those who are living abroad, aside from family & friends, one of the things that certainly being missed back home, is the food. You may have tasted the most sumptuous meals of different cuisines all around the world, yet, the flavors that scream home still linger in your mouth. Food that you grew up eating with, that nourished you, and gave you comfort. Thanks to fast changing time and migration, food back home becomes accessible to mostly anywhere in the world. Whatever nationality it is, people find products from their country to where they are based abroad. Part of the adjustments in living abroad, is embracing local cuisine and lifestyle. Discovering and indulging into local food is something I enjoy. Before living here in Guatemala, we lived in Montreal, a culturally diverse city. In every corner, you’ll find restaurants of different cuisines. From Chinese, Thai, Japanese, Italian, Vietnamese, Greek, Lebanese, Creole, Romanian, Mexican, Filipino and a lot more, everything is so accessible. Then, things changed when we moved in Guatemala. I basically cook and eat what Guatemalans cook and eat. Living far from the city, access to Filipino products and other international cuisines became limited. I started using local produce, spices & herbs indigenous to the country, embracing Guatemalan food culture in general. Though there are many similarities between Guatemalan and Filipino food all in all, there are things that until now I’m still trying to get used to, like having tortilla everyday. 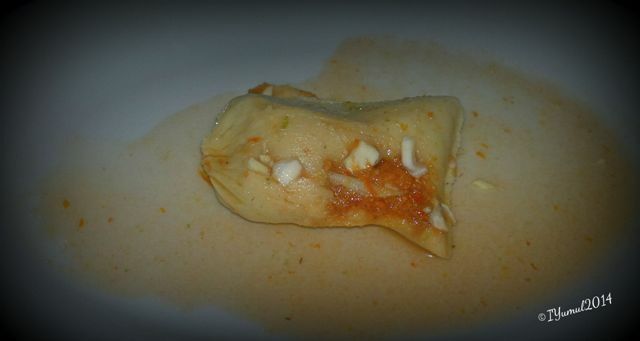 Corn plays an important role in Guatemalan food menu. Many Guatemalan meals are corn-based, like tamales, chuchitos, atol and the most important one, tortilla. If you’ve been to other Latin American countries, you’ll notice that they have the same food but each country have their own take and twist on it. Here are some Guatemalan food that I learned to love and somehow became my comfort food too. Some food are quite familiar to my taste buds that makes Guatemala and Philippines have something in common. Let me take you to a virtual Guatemalan food trip. Morning always starts with a hearty meal. 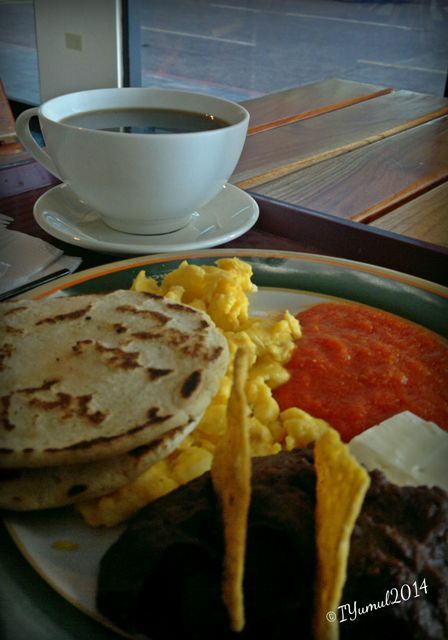 Tortilla, scrambled egg, cheese, home-made tomato sauce, black beans and of course Guatemalan coffee. Saturday is tamales day for our family. 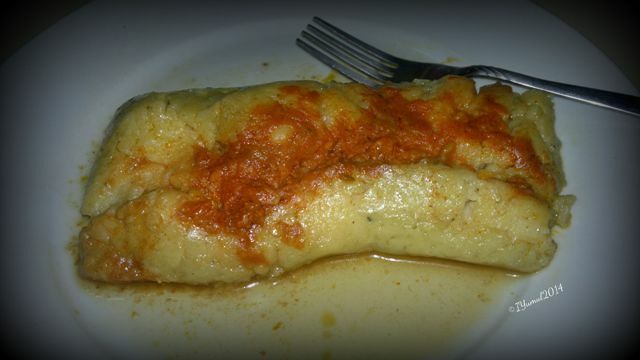 Made of “masa de maiz” and stuffed with chicken or pork meat. Usually served during special occasions and taste extra delicious when accompanied with café or hot chocolate drink. Stay warm, have some atol! Atol is a hot beverage perfect for cold weather. 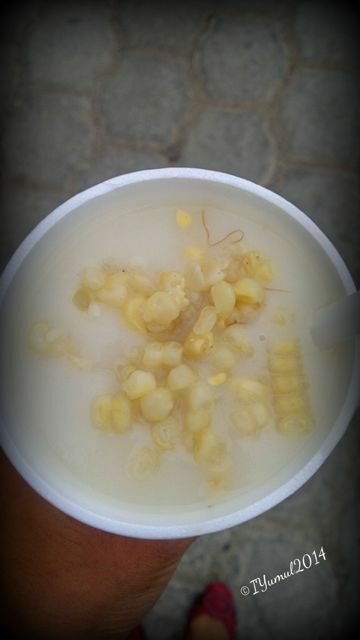 A corn-based drink, topped with corn tidbits and cinnamon powder, usually consumed in the morning and during cold weather season. A simple dessert made of smashed plantains with cinnamon & filled with black beans. It so simple to prepare but the process is pretty lengthy. 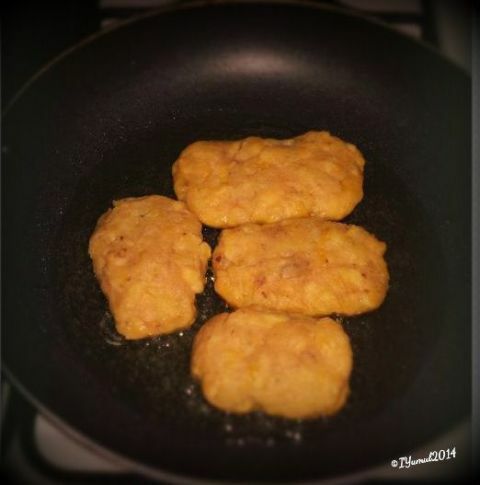 With a little dash of sugar at the end, and you are good to go with your rellenitos de platano. 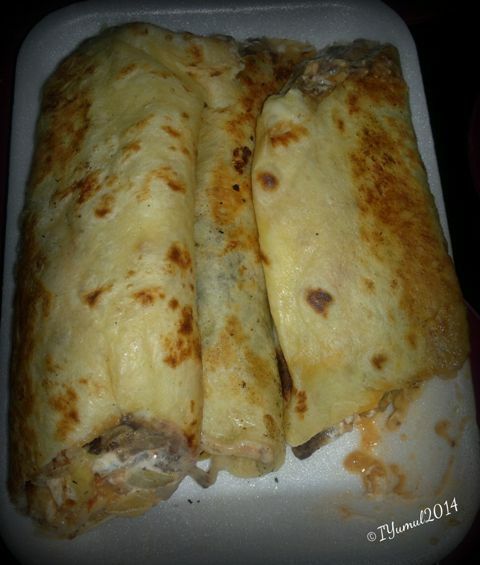 Grilled meat, guacamole, black beans, cheese, chirmol (sauce made of tomatoes, onions & cilantro) & cabbage wrapped all together in flour tortilla, sounds and tastes delicious…uhmm, yummers! Served with grilled potato and onions on the side. It is like burrito and shawarma, a feast for meat lovers out there, Churrasco. Chuchito is more of a daily meal compared to tamales which is more for special occasion. However, chuchito is made of maseca (corn flour), instead of real corn dough or “masa”. Chuchito is also stuffed with some chicken meat. Oh boy! Make sure your blood pressure is under control before having the crispy, crunchy chicharrón. That sinfully, greasy, deep-fried pork meat and skin…yes!. 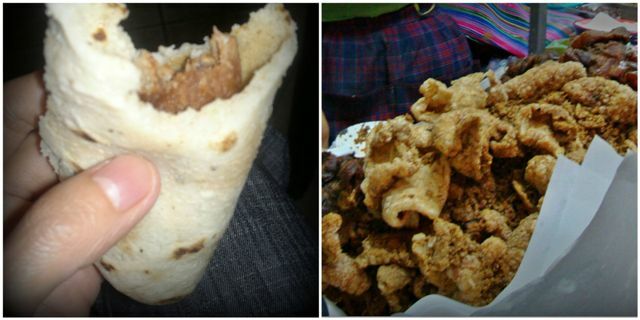 Guatemalans enjoy their chicharrón by wrapping it of course in corn tortilla and with yucca on the side. Gusta Los rellenitos. Had one yesterday filled with strawberry jam..